Concrete Contractor Loveland: Why Choose Concrete For Your Residential Driveway? Owning a home in Loveland, Colorado comes with lots of benefits: beautiful mountain skylines, a friendly community to raise a family in, and access to all that Northern Colorado has to offer. However, it doesn’t save you from the tough choices that come with home ownership. Deciding how to invest for the long term value and wellbeing of your home is at the top of every homeowner’s mind. When considering a new driveway, owners are faced with the difficult decision of choosing asphalt or concrete. 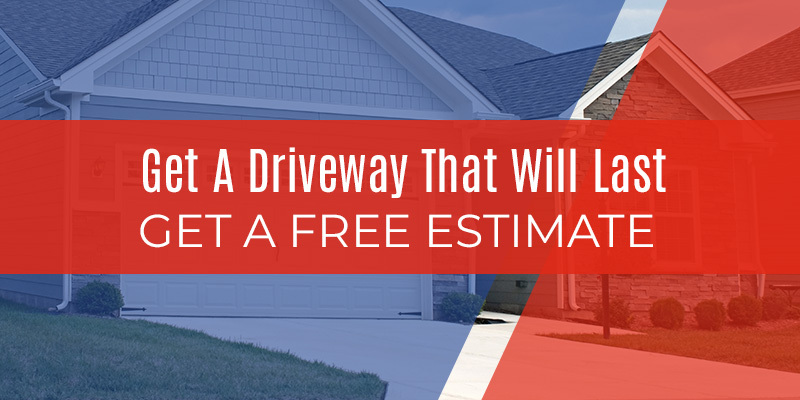 Luckily, On-Demand Concrete, Loveland’s preferred concrete contractor, is here to help homeowners make the best choice when installing a new driveway. Making an investment in your home should be done with the long game in mind. When considering the best material to use for a new driveway, you have to ask yourself, “How long is this solution going to last for me?” The typical concrete driveway, installed by a professional concrete contractor, can last for up to 30 years. That means you won’t have to worry about replacing your driveway until after your mortgage is paid off. By comparison, an asphalt drive will usually hold only a little more than half of that. 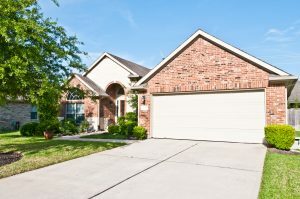 A concrete driveway needs virtually no maintenance. Besides blowing it off and treating for weeds along the edges of your drive, a concrete slab driveway is good to go once it has cured. This leaves you countless extra Saturday mornings over the life of the driveway to focus on other projects around the house, spending time with family, or getting out to your favorite hike or fishing spot. By contrast, an asphalt driveway needs constant upkeep. Failing to patch, seal, and fill holes in your asphalt driveway every couple of years (at most) will leave you with a cracked, rough surface that is vulnerable to the moisture and cold weather common to Loveland in the winter and spring. Concrete isn’t just more durable than asphalt, it’s also more versatile. Do you have multiple vehicles of different sizes and weights that you park on your drive? When you choose concrete, you never have to worry about sagging tire impressions and uneven patches where long term trailer, R.V., or heavy vehicle storage takes place. Asphalt driveways in hotter climates, like our summers tend to be, are even more susceptible to this kind of damage. On top of looking bad and making you second guess your choice of driveway materials, this kind of displacement also makes snow and ice removal more difficult during the winter months. Many people think that asphalt is the superior material because it is used on public roads and highways. The reality is that asphalt is the material of choice for public works because the up front cost is lower than concrete. Over time though, concrete provides substantial savings for your time and wallet. Consider that your asphalt driveway will need patching, crack filling, and sealing every two to three years. These products can cost upwards of $100 annually over the life of your driveway. 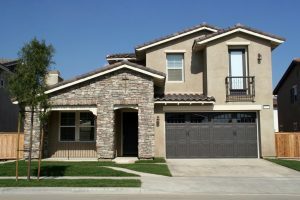 When you consider these ongoing costs, your personal time investiture, and the typically shorter life span of an asphalt driveway, concrete is the obvious choice for a durable, cost saving investment for your home. As a local concrete contractor, we understand the needs and challenges of your project. We would love to answer any questions you have about why choosing concrete for your residential driveway is the right decision. Call On-Demand Concrete today for a Free Estimate.